After enjoying the morning’s activities, the Friends group enjoy coffee, tea and discussion of what was seen, and plans for the next “Enjoyment Day”. 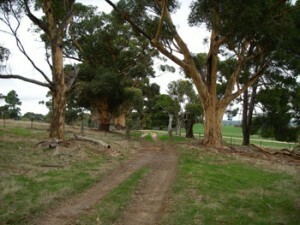 Many large River Red Gums are dotted across the Glenthorne lanscape, and are home to many parrots and smaller bird life. 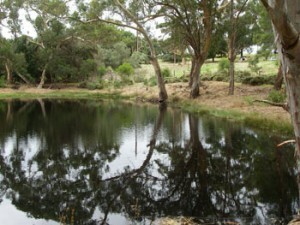 The Glenthorne property has permanent water sources, with 3 large dams. 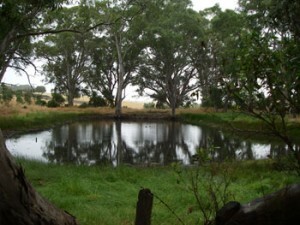 These are very important to local birds wholive and breed or just drip in for a drink. 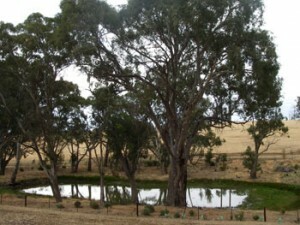 Through the trees, the small re-vegetation plants in the distance can be seen. 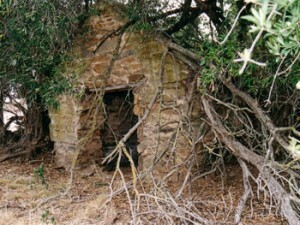 This photo was taken about 2006. 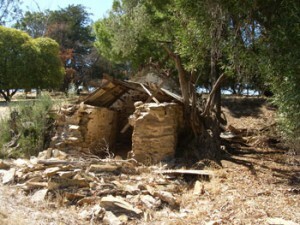 The heritage buildings on Glenthorne are urgently in need of protection. 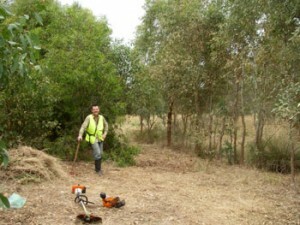 Re-Vegetated area, initiated by Chris Gibson, in conjunction with teh Urban Forest Biodiversity Unit flourishes. 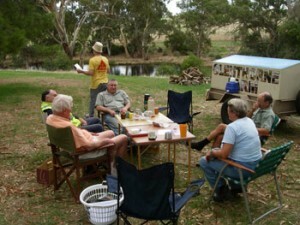 Birds, such as Grey Fantails, and Golden Whistlers are regular visitors. 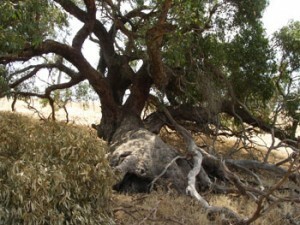 The felled olive tree is re-shooting! 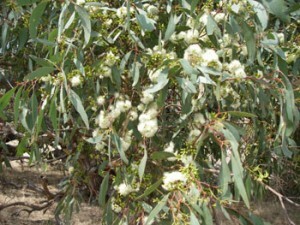 Grey Box (Eucalyptus microcarpa) in flower. 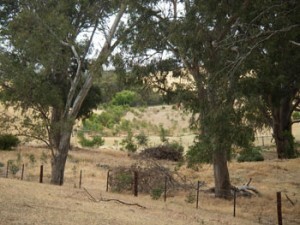 An old Grey Box, next to the underground Desalination pipeline, on Glenthorne’s Eastern slopes. 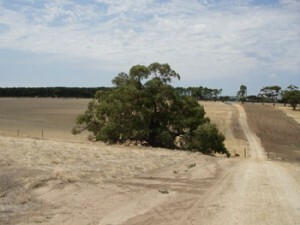 Close-up of the same Old Grey Box – an important remnant seed-source for re-vegetation efforts in the future. The same Old Grey Box. 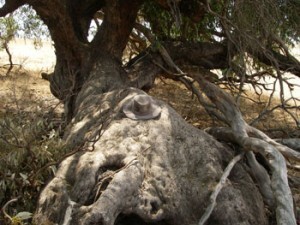 The trunk is about 4 metres in circumference. 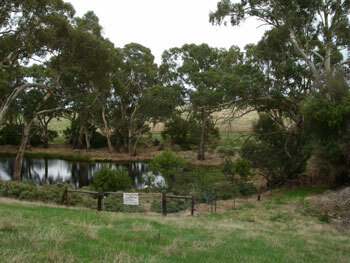 The main dam in the centre of the Glenthorne property. 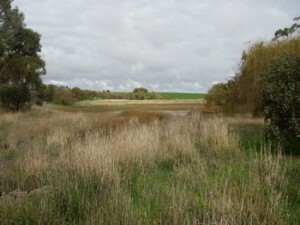 Important for many waterbirds, and native tortoises. 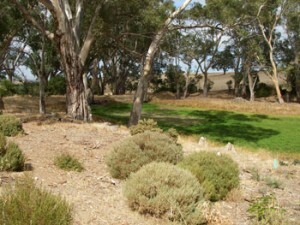 Emerging native undergrowth where olives once stood. A testament to the efforts of the Friends of Glenthorne. 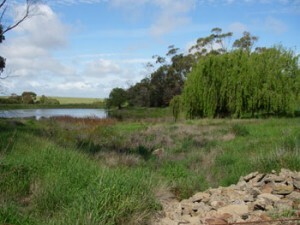 The main dam, showing invasive willow tree to the right of the photo, and infestation of Phalaris in the foreground. 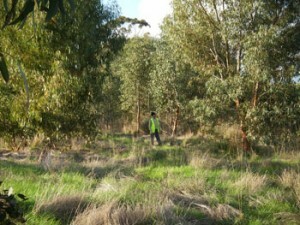 Re-vegetation – doing well – Trees now up to 10-15 metres high. 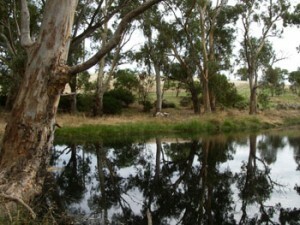 The small northern dam – a spot to reflect. 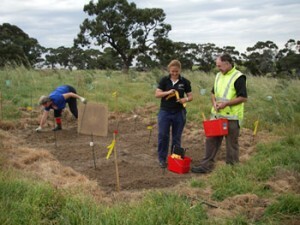 University of Adelaide Ph D. student, Emmy Gerlach, setting up her native grass germination trials. The Friends assisting. 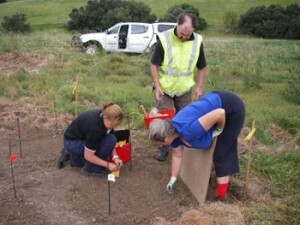 Emmy Gerlach’s project involved testing various ways of soil preparation to assist in germination. 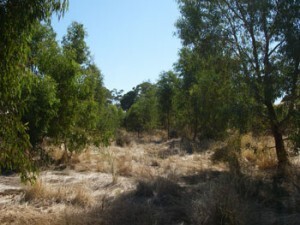 Results from this research will be used for broad-acre re-vegetation of these species.